Our hens are 100% free-range and fed all-natural products. Know Your Farmer — Know Your Food. Free-range eggs contain 3-6 times the amount of vitamin D than those bought in the typical supermarket. Our Hens are producing about 10-20 dozen/day but we would like to increase our flock so we can get between 20-40 dozen/day. We currently sell them directly from our farm at 31 Frog Hollow Rd. The price is currently $5.00/Dozen for free range vegetarian and grain feed chicken eggs. Please come at anytime to our farmstand and help yourself. We also feed our (Hens) Poultry Vitamins for at least the first year to keep very healthy birds in our flock. 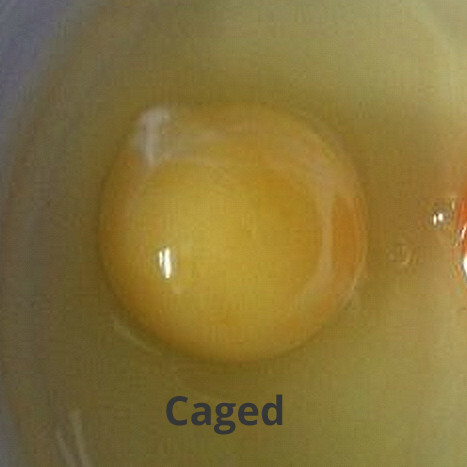 Eggs from chickens who are roaming free have been compared with USDA certified eggs from caged hens in several studies. The free-range hens’ eggs contain 1/3 less cholesterol and 1/4 less saturated fat. Their yolks are much darker owning to the fact that there is up to 7 times more beta carotene in them. There is also 2/3 more vitamin A and up to three times the amount of vitamin E. One nutrient in which more people are becoming deficient is vitamin D. Free-range eggs contain 3-6 times the amount of vitamin D than those bought in the typical supermarket. As stewards of Connecticut’s working landscape, we treat our farm as a precious irreplaceable resource. We follow sustainable farming practices that ensure our cropland will be productive for future generations. Part of the concept of this small farm is to get the kids involved. We have 6 jars that we split the money; one for each kid and one for the cost of the grain. We take great care in providing a quality egg and great service to our customers. We enjoy being a part of our community and do as much business as we can with local families. Stop by our farm and say hello.